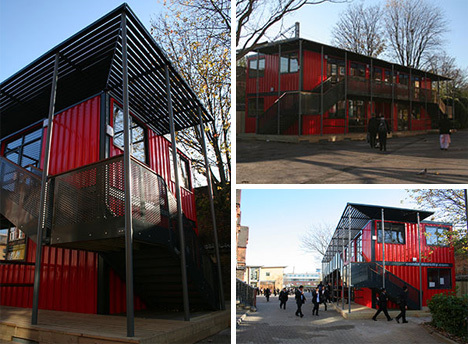 When Morpeth School in London decided that more space was needed for their classrooms, they went in an innovative direction with the new construction: they employed Urban Space Management (of Container City fame) to create a spacious new addition out of cargo containers. The addition gives the school a valuable 2500 square feet of additional classroom space. It’s linked to the rest of the school with a covered walkway.